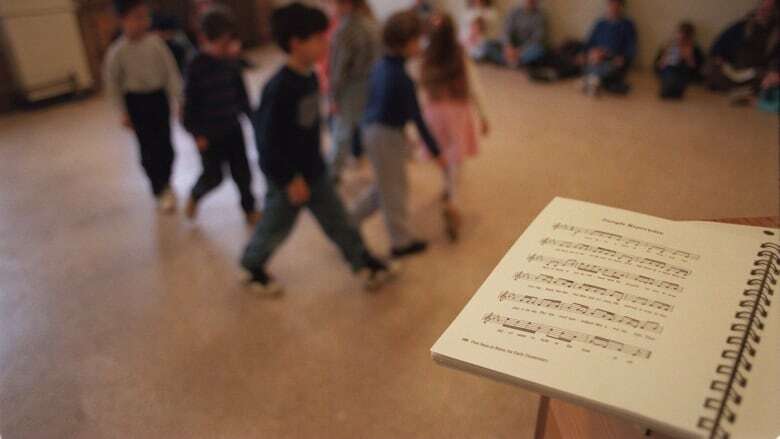 The number of Ontario elementary schools with full or part-time music teachers has steadily declined in the last decade, according to a new report released Monday. Music education in Ontario is suffering because of a lack of money and qualified specialized music teachers, say some critics of the government's approach to funding. The number of Ontario elementary schools with full or part-time music teachers has steadily declined in the last decade, according to a new report released Monday, and some who study childhood education warn the loss of music lessons could have onerous consequences for new generations of students. The report, compiled by People for Education — a non-profit advocacy group that tracks education in the province and offers policy recommendations — found that 41 per cent of elementary school in Ontario have a "specialist music teacher", down from 48 per cent from a decade ago. Annie Kidder, executive director of People for Education, told CBC News that 20 years ago, it was closer to 60 per cent. The trend can be partly explained by two main factors: declining enrolment, which equates to less funding for schools with fewer students and, according to Kidder, "a sense that the priority is in different areas" like math and science. The concern, however, is that studies have shown that an education in the arts may be critical in the development of children's cognitive skills, social behaviour, problem solving ability and emotional evolution. Kidder also points that university students training to be teachers in Ontario are only required to take a single credit in the arts. "The arts can be quite technical, and therefore quite difficult to teach in the ways that it should be taught," Kidder said. And as with most social issues in Ontario, there is a clear urban-rural divide evident in the report. Elementary schools in the Greater Toronto Area, for example, are 2½ times more likely to have a specialist music teacher than schools in the northern and eastern reaches of the province. The reason for this discrepancy is not necessarily affluence, but that schools with more students tend to get more funding, and can therefore afford to keep music as part of their regular curriculum. Furthermore, an elitist conception of the arts keeps some educators and parents from appreciating how things like music can help children and are reluctant to put attention on the subject, says Ruben Gaztambide-Fernandez, an associate professor at the Ontario Institute for Studies in Education at the University of Toronto. "It's all connected to how we view the arts, what we imagine the arts are, who we imagine as an artist and what we imagine the purpose of art to be," he said. "I think we tend to assume that people who are going to do certain kinds of jobs or who come from certain kinds of background don't need these things because they're not going to end up in jobs where they use these things." This is missing the point, Gaztambide-Fernandez said, because things like music, movement and visual culture really are part of everyday life, the same way math and science and language are vital. Students don't need to be virtuosos to make a music education worth the cost. "We don't expect every student to become a famous mathematician, but we still teach them decimals and know they should be able to do long division," he said. The report by People for Education recommends that funding be made available for music programs in schools no matter where they are in Ontario, including some money for after-school "arts enrichment."